When it comes to affordable smart speakers, Amazon Echo wins! When it comes to smart speakers, we think of all the fantastic Google Home products, Amazon Alexa family and Apple HomePod accessories. More or less, these technologies are similar and are serving the same purpose. You will have a wide range of speakers to buy right now, but inevitably, Amazon Echo is a preferred choice for many. The Amazon Echo is far better than its own premium cousin, Amazon Dot. If you are looking for an affordable option, you can have a go ahead with it. Its dual-speakers powered by Dolby add majestic impact to the sound quality. We don’t recommend you replacing your hi-fi audio system with Amazon Echo, but it’s an excellent starter if you are going to step into the world of smart homes for the first time. It isn’t as expensive as other Amazon speakers like Echo Plus. 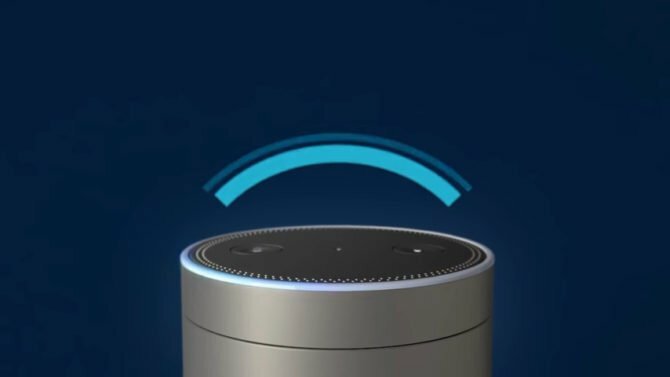 Missing the brushed aluminum of Echo Plus, Amazon Echo is amazingly wrapped with fabric grille. 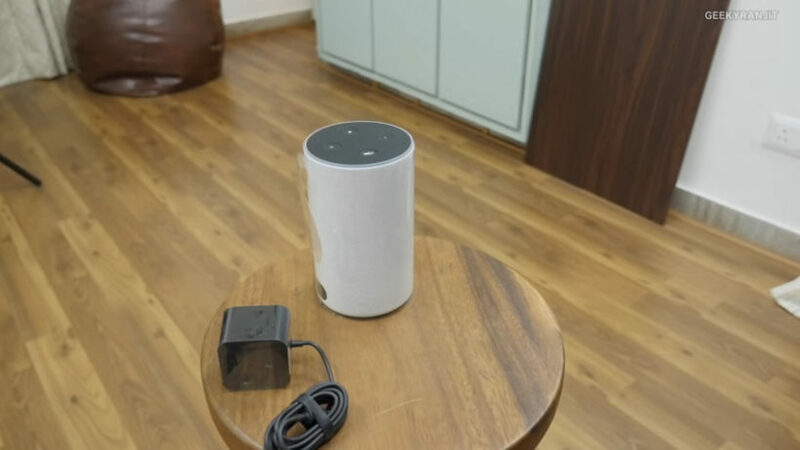 This is after the recent design update, and you won’t find Amazon Echo very techie by the outlook that is a native specialty of digital assistant speakers. We are not sure if Amazon chose this outlook design to cut costs or to get interior design flavor but it is indeed a change as the smart speaker is supposed to be a significant part of your living room. The newly designed Echo is wider and smaller which minimizes the possibility of it toppling over on an accidental nudge. The design meets more in keeping with the other smart speakers, i.e., Google Home and Apple HomePod. 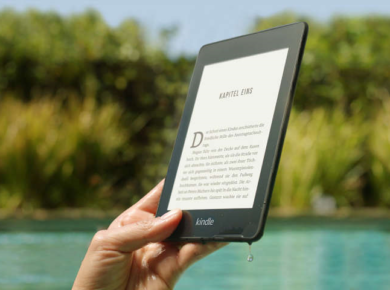 This design seems more evident, and Amazon has switched up the volume dial for a couple of buttons. You will find a button that will put Alexa on mute and another one to summon Alexa in case if you don’t feel like calling her name. Subtle changes, aren’t they? 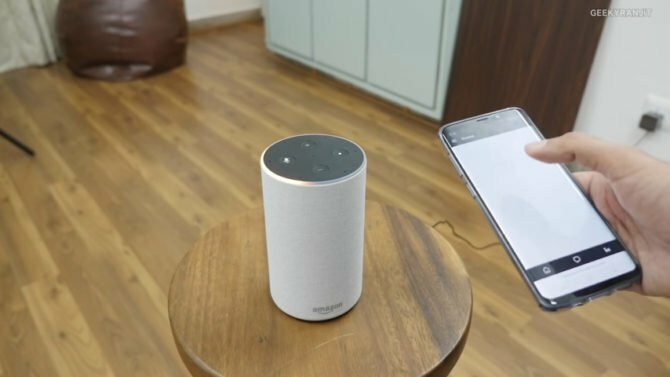 The smart speaker seems more obedient than it previously was. How to set up the new Echo? It’s not a tiring procedure. Just get the Amazon Alexa app on your phone and follow the steps. The application takes you through the entire process. Click Settings and Set up a new device. It will make your life easier by giving you a couple of options in the form of icons. You can choose your icon and get started. It will take some time before you get the hang of Alexa. You eventually learn what you should be asking and what not and to add perks to your experience, you can dive into Echo skills. 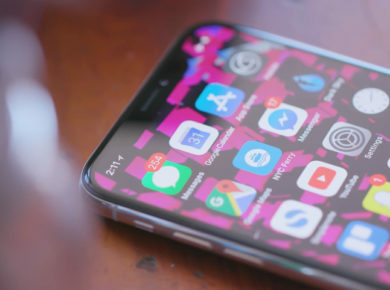 These are a couple of apps that you can connect to your speakers, and they add extra abilities to your smart home. You don’t have to time your tasks manually. Alexa can put a timer for you. Alexa can connect to the other smart things in your house too. Again, this is a simple process, but you’ll have to work on summoning Alexa effectively and ensure good network connectivity. The performance remained 9/10 which isn’t sick of course. Alexa sometimes would get confused and play a wrong track, and at other times it required repetition. Sound quality remains excellent though. Alexa speaks with a crisp, and her voice is as clear as our other friend Alex, to add to our chill pill. Alexa struggled a little with the low-frequency sounds, and it makes the idea clear that Amazon has gird the lions against Google and Apple to its full strength. Amazon Echo’s price range is commendably low, so those who are taking a start won’t mind spending a couple of dollars. Alexa may not be as attractive to those who are not inspired by the idea of smart homes. Worry not, if you aren’t a fan of intelligent technology you can happily use Echo as a Bluetooth speaker!